The preoperative consultation is your best opportunity to meet one on one with the rhinoplasty surgeons you are considering, learn more about the procedure and get answers to any questions you may have. These may include questions relating to candidacy, side effects, combination procedures and other factors relating to rhinoplasty. Prior to heading to your consultation in NYC, gather any medications, over-the-counter products and/or supplements you take so that you can show them to the surgeon and make sure none of them have the potential to cause complications with your surgery. During your consultation, the surgeon’s experience, training, board certifications, experience with various techniques and other factors will be discussed. The consultation is also a good opportunity for you to show the surgeon pictures of noses you like. The surgeon will discuss and inquire about your medical history and any medications you take. If you are a smoker, the surgeon will insist that you cease smoking well before your surgery. Smokers are not good candidates for rhinoplasty surgery. The details of the rhinoplasty procedure will also be discussed, as will any alternative treatments or procedures that might complement the nose surgery, such as chin implantation. The surgeon may use 3D imaging to give you an idea of the results. The surgeon will also discuss the preoperative and postoperative instructions. The initial consultation is also the surgeon’s opportunity to determine if you are a good candidate for rhinoplasty. The most important requirements are that you are in good health and have realistic expectations. It is essential that you do your due diligence and inquire about your potential surgeon’s credentials. Preferably, you should choose a board certified facial plastic surgeon who specializes in rhinoplasty procedures. Other types of medical specialists also perform rhinoplasty, but they typically lack the same training and experience. Facial plastic surgeons usually complete a residency in one specialty, such as otolaryngology/head and neck surgery, or in plastic surgery. They are required to achieve board certification in one of those areas from the American Board of Medical Specialties or the Royal College of Physicians and Surgeons of Canada. They also must complete a lengthy examination with the American Board of Facial Plastic and Reconstructive Surgery (ABFPRS), and must submit a record of clinical experience. Finally, board certified facial plastic surgeons must hold approved licensure and subscribe to the ABFPRS Code of Ethics. 2. What is your patient satisfaction rate? One of the most important steps you can take to determine your choice of surgeon is to assess whether other patients have been happy with their results. Your New York surgeon should be able to provide you with an extensive catalogue of testimonials from former patients, as well as contact information for some of those patients. If a surgeon does not offer this or is hesitant to provide it, walk away. There are plenty of well-qualified rhinoplasty surgeons out there to choose from. 3. How many revisions do you perform each year to correct your own work? This may sound like an odd question to ask, and it may even catch the surgeon off guard, but it’s very revealing. If a surgeon is constantly having to revise his or her own work, this may not be a great sign. While no surgeon is perfect, and unexpected complications may arise, there should not be a pattern of constant revisions. It’s important to get the outcome right first time, if possible, because surgery to revise the results is extremely complicated and involves dealing with scar tissue, which can be inherently unmalleable. When speaking about revision work, you want to find a facial plastic surgeon who revises rhinoplasty procedures performed by other surgeons and who has a high patient satisfaction rate. 4. Can I speak to former patients? Again, be sure to ask the surgeons you are considering for the contact information of former patients. A confident, capable surgeon will respond enthusiastically, providing you with a list of various patients you can contact with any questions you may have. 5. 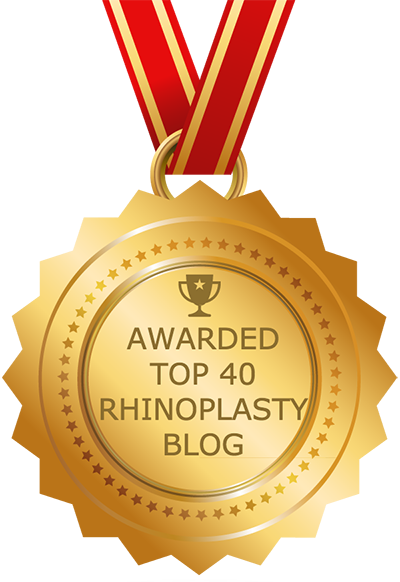 How many rhinoplasties do you perform each year? The surgeon you choose should be one who performs rhinoplasty procedures on a continual basis — at least one case per week, but preferably more. A NYC surgeon that specializes in rhinoplasty, which is what you want, is more likely to perform up to four cases a week, or about 200 procedures a year.